3- Press & Hold Power + Volume down until menu appears. 4- Android Logo with Red exclamation mark appears. 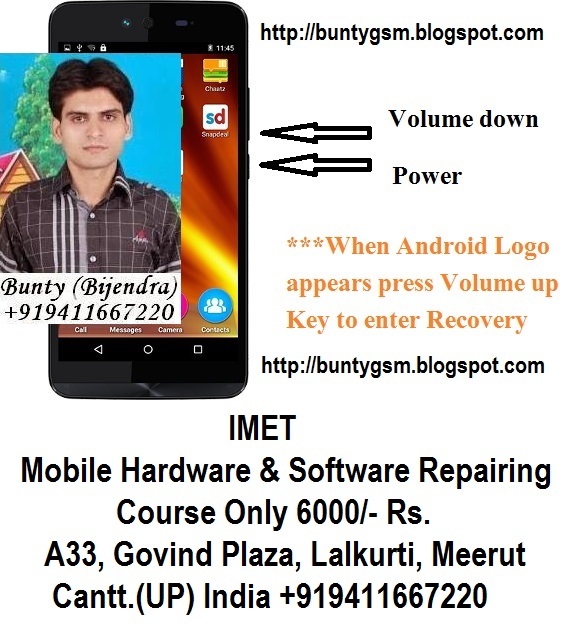 5- Now, Press Volume UP key for a while, to enter Recover mode. 7- Using Volume keys select Yes-delete all user data and Power key for OK.
9- Reboot system now using Power key. 10- Formatting has been done and phone is free from pattern lock.